On Thursday 31st August, Liverpool Art Fair hosted the second annual Billy Wilson People’s Choice Award. The award was created to celebrate the region’s leading artistic and creative talent in memory of the late Billy Wilson, owner of The Gallery Liverpool where Liverpool Art Fair has its roots. The hugely popular People’s Choice Award received over 6,000 votes from both locals and tourists with each putting forward the name of their favourite artist whose work can be found on display in the purpose-built gallery on Liverpool’s iconic waterfront. 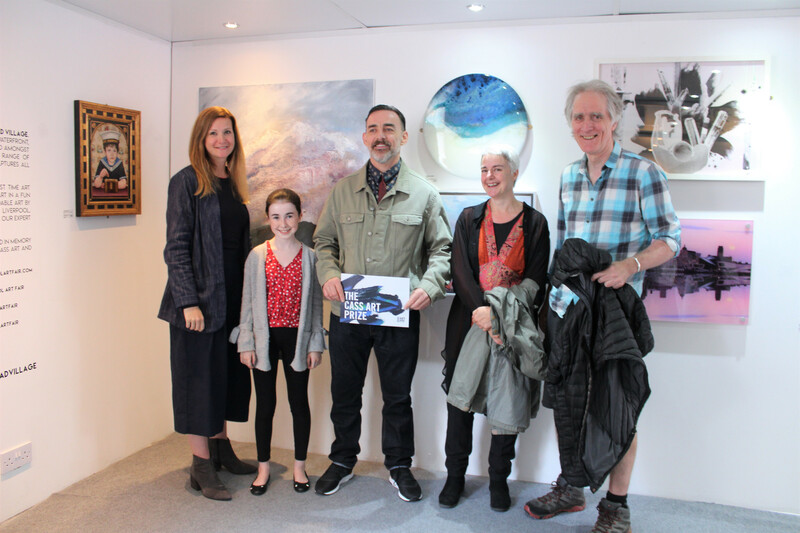 Local artists Hazel Thomson and John Sharp were revealed as runners up, with the winning artist, Alan Murray, a painter, announced by Billy Wilson’s daughter. 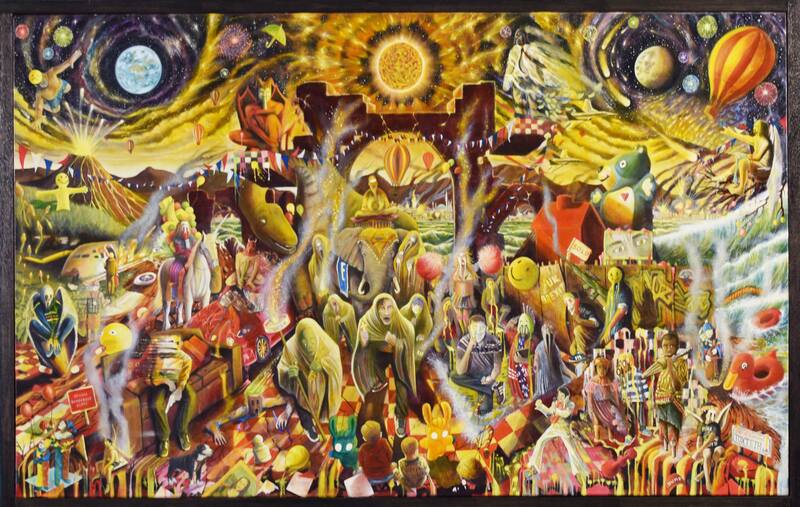 Toxteth-born Murray has three artworks showcased at Liverpool Art Fair with the piece, ‘The Damned Parade’ receiving the highest number of votes. This piece featured alongside another provocative artwork, ‘Welcome to Your Breakfast, which if sold, the artist’s will donate all proceeds to the Grenfell Tower charity. 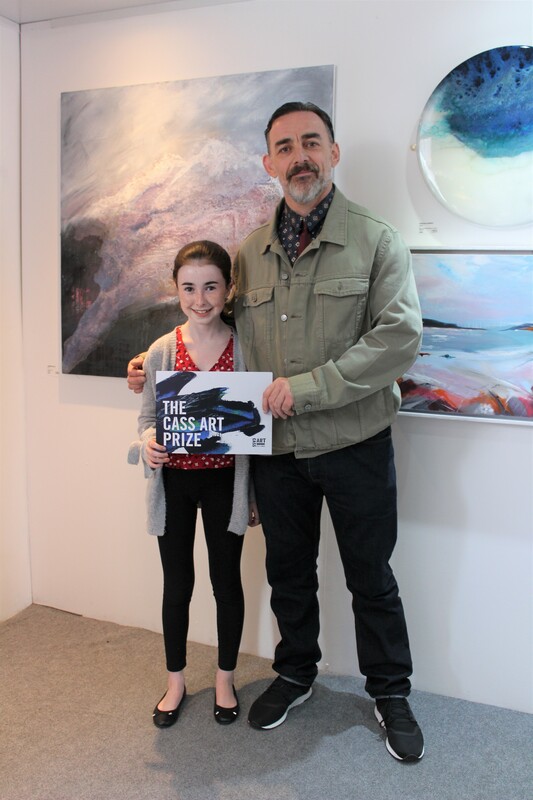 The winning artist received a generous £250 prize from independent art supplies retailer Cass Art. This is in addition to a new prize which has been put forward following a partnership with the Independents Biennial who have offered the top three artists a showcase at the George Henry Lees Building for the whole of October. This entry was posted in Liverpool Art Fair 2018, Peoples Choice Award and tagged Liverpool Art Fair, Local Artists, Peoples Choice Award. Bookmark the permalink. ← Liverpool Art Fair 2018 – NOW OPEN!